Well, I hope all of you had a happy and safe Independence Day! I thought that I would digress from the fascinating world of animal urine and give you a glimpse into the PeeMan’s own 4th of July celebration. First up we have a glimpse of the PeeMan’s Waterpark! 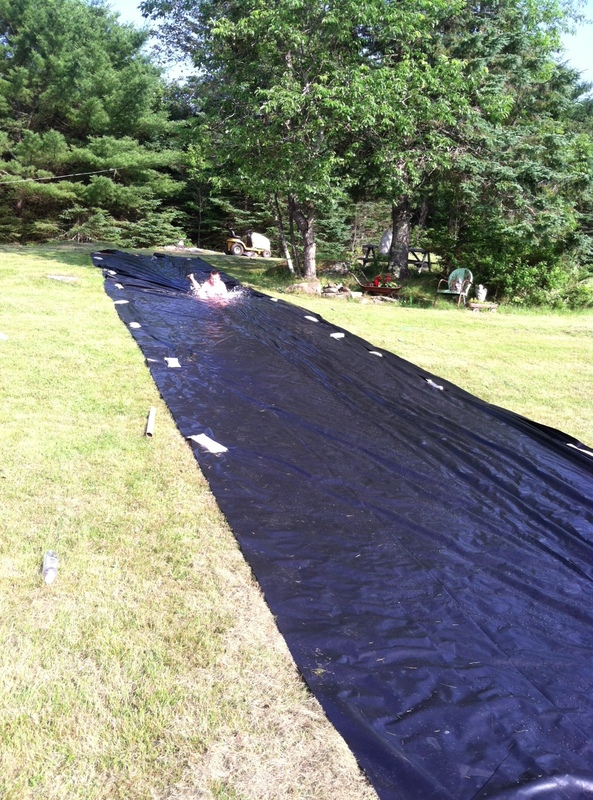 On the left, you will see my eldest grandson enjoying the giant slip and slide. Next up was the pool – I might add that I built this with my own two hands! Ordered the liner on the computer and with a little trial and a lot of error – voila – oasis of cool for enjoyment by both young and old. Other options for Independence Day fun – our very own 15 hole disc golf course. Two of my daughters and a granddaughter played a fierce round ending with the eldest daughter coming out on top by 1 point. Add a grass bocci ball court measured to exact specifications, some tasty barbequed ribs, chicken, burgers and hotdogs, ice cold beverages, family and friends, and even a spontaneous outburst of patriotic song capped off by a trip to a coastal town for a fireworks display and that equals a pretty dang good holiday! On a serious note, we had a terrible tragedy at the parade of a town nearby when a man was accidentally crushed by an antique firetruck. Lots of families and children witnessed the incident, and it cast a dark shadow on the day. The family of the man killed and those who witnessed the scene are in our prayers and I would ask you to keep them in yours. Posted on July 6, 2013 by The PeeMan. This entry was posted in PeeMan Gets Personal and tagged Fourth of July, Independence Day, redneck 4th of July. Bookmark the permalink. ← Want to know what’s eating your garden?